An Introduction to Sports Coaching provides students with an accessible and engaging guide to the scientific, social scientific, medical and pedagogical theory that underlies the practice of quality sports coaching. Now in a fully updated and revised second edition, it introduces students to the complex, messy, multi-faceted nature of coaching, and explores the full range of ‘knowledges’ which inform all successful coaching practice. 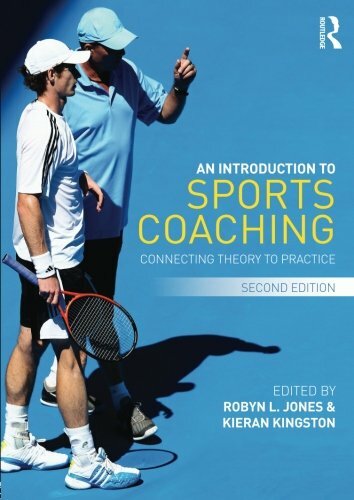 Each chapter makes a clear link between theory and practice, and includes discussion of real-life coaching scenarios and insights from practising international and club coaches. The book includes clear definitions of important themes and concepts, as well as seminar and review questions in each chapter designed to confirm understanding and encourage further enquiry. No other introductory textbook explains the importance of an holistic approach to sports coaching practice. This is an essential companion to any sports coaching course.